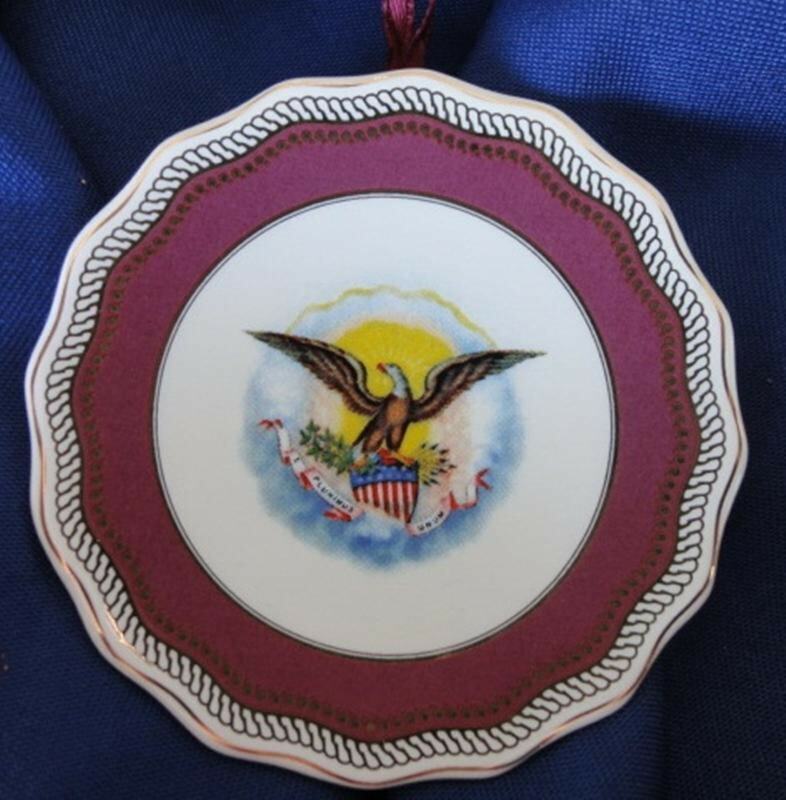 Abraham Lincoln Plate China porcelain ornament. 2.65 inches in diameter. 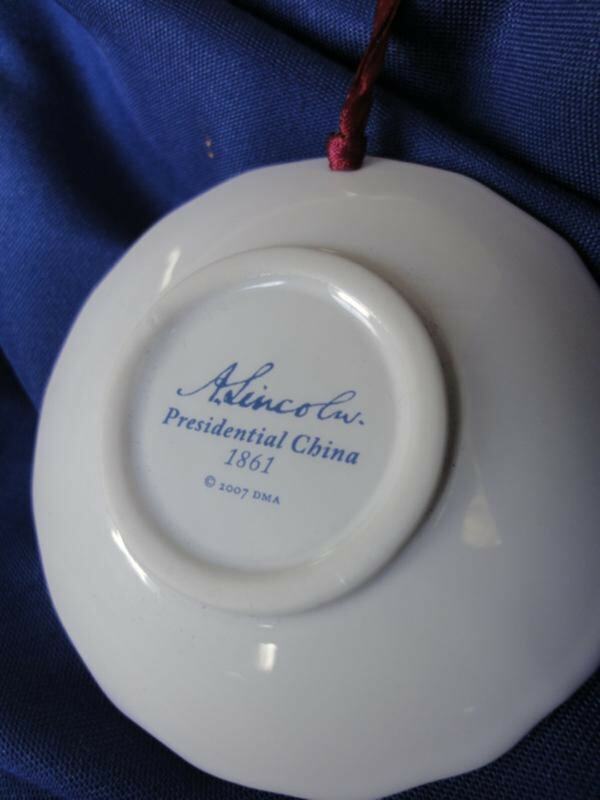 Ornament is a reproduction of the china pattern that President and Mrs. Lincoln used while in office. President and Mrs. Lincoln entered the Executive Mansion in 1861. At the time, there was not enough of any china service to set a formal dinner. Congress had appropriated the usual funds to supply furnishings for the house. Thus, Mrs Lincoln purchased a French porcelain state dinner, dessert, breakfast, and tea service known as the "royal purple" or "Solferino" set. The bright purplish-red color had become fashionable since it's invention by the French in 1859. Mrs. Lincoln favored shades of purple and often used the color in her personal dress and interior decoration.